The popularity of solar power is forever on the rise and there are plenty of reasons backing it. Solar power as we all know is the power generated from solar energy and used in place of conventional forms of energy. Solar powered appliances and lights are easily available in the market today, that go a long in helping people who cannot install solar panels at their spaces. Saves money tremendously: Solar power is generated from sunlight that is a free resource. Those using solar power are not required to pay monthly bills for using this form of power. This translates into huge savings for those users. 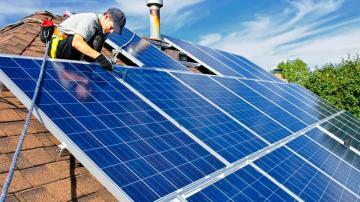 Apart from the initial installation costs, solar power only entails massive savings. A massive boon for Earth: This kind of energy does not deplete limited resources of Earth; sunlight being a renewable form of energy. Therefore, it goes a long way in saving and preserving these resources. Moreover, solar powered equipments do not emit fumes and add on to the already miserable pollution levels. This is in itself is a huge plus in favor of solar power. 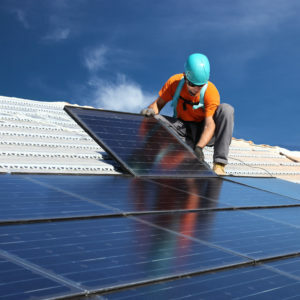 Easy installation: Whether one wishes to install solar panels or go in for solar powered appliances like geysers and air conditioners, there is not much of a hassle involved. All that the exercise involves is simply getting in touch with any of the companies that specialize in the field. Moreover, once the installation process is complete, one gets access to this energy immediately. Comes with battery back up: Most of the installation comes with three day battery backup so that the users do not have to bother in case of inclement weather. Government sops: The governments across the globe have been promoting solar power because of its humongous benefits. Governments in several countries also extend discounts and offers. It makes sense to avail these offers and get the installation done at a fraction of price. It is a great home investment: Be assured that your residential space will fetch a great price if it is powered by solar energy because of the huge savings on power bills that it will bring to the buyer. 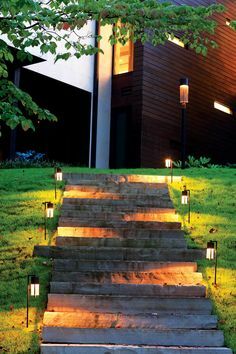 Dark and dangerous walkways: Solar powered lights are massive boons in places that are dark, and wherein installing lights, the conventional way is a headache. Solar powered lights can be easily placed in such spaces, and the procedures are very simple. No trenching or drawing electricity via wires and poles is required herein. Solar powered lights are the best bet in places that are concrete because of the minimum fuss required. Pools and Ponds: Solar powered lights are the best option for lighting up pools and ponds. Suchspaces can be dangerous in dim lighting and lighting up these spaces to the hilt can be very expensive via the conventional way. Where wires cannot reach: Solar powered lights or other equipments do not need long wires to access power. They are therefore a boon in places wherein wires cannot reach or are difficult to reach. Moreover using solar power also saves on wire consumption too. During blackouts: Solar power is seriously godsend during blackouts. In times of climatic emergency or any mishap, if there are blackouts only solar power can help until conventional power lines are restored. Solar energy can be used in myriad ways whether for cooking, in heating and cooling appliances or lighting purposes. If the users do not want to completely source out power from solar energy, they can use as many appliances as possible that are solar powered. Even that will go a long way in reaping benefits of solar power. They are also a great option for street lights since they help with the lighting needs of every such space and save money too. There are several eminent Solar street light suppliers in Chennai that are offering impressive range of products.